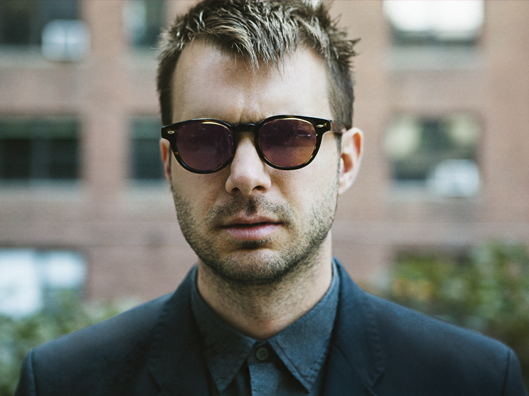 so I can concentrate solely on the performance"
Howie Day's emotionally resonant lyrics and inventive melodies have earned him both critical praise and a legion of devoted fans. He is known for his energetic, heartfelt shows, where he connects with audiences through the strength of his songwriting and his quirky sense of humor. Day's warm tenor voice "soars into fluttering, high registers, but also grates with real, pleading grit," as one critic put it. After sales of over a million records and two Top 10 hits, Day is back on the road in support of his new studio album, Lanterns. After signing with Epic Records, Day released his major-label debut, Stop All The World Now, and hit the road to support it. The constant promotion paid off: Stop was certified gold in the U.S. and spawned two Top 10 radio hits: "She Says" and the platinum single "Collide." After three subsequent years of intense worldwide touring, Day moved to Los Angeles and returned to the studio. His next release, Sound the Alarm, built on the emotionally complex spirit of its predecessor and delved into Day's journey from indie wunderkind to platinum-selling artist. Its lead single, "Be There," became a staple at modern AC radio.